These prospecting tips I’m going to share with you will change the way you feel about starting conversations with total strangers. This is a huge deal because back in 2009 when I ran out of friends and family to talk to…my upline told me to just go out there and find new people to talk to. I was quite intimidated with the idea of starting random conversations with complete strangers. But… I was also determined to find a way to get over my fear so I could become a success in my business. 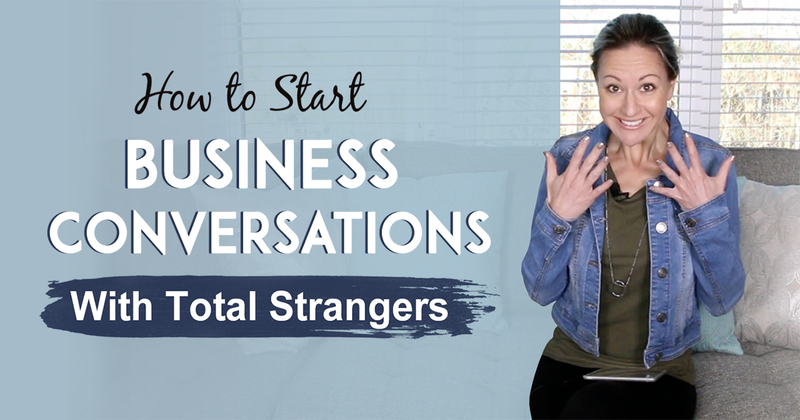 So in this Episode of Tanya Aliza TV, I’m going to give you my BEST prospecting tips on how to get over the fear of talking to total strangers about your business, product or service. And today since we’re talking about getting rid of the fear of staring conversations with strangers…I’m giving you My Top 20 Prospecting Questions. This guide will help you ask the right types of questions that will make it easier to start conversations with total strangers that lead into business. If you don’t already know this about me…I’m an introvert. So the idea of going out there to find people to talk to was not something I felt comfortable with. So I set out to find a way to make this process easier for me because I didn’t want to feel disingenuous during the whole process. PLUS…I wanted to get over the fear that I had that was holding me back and I was determined to grow my business. 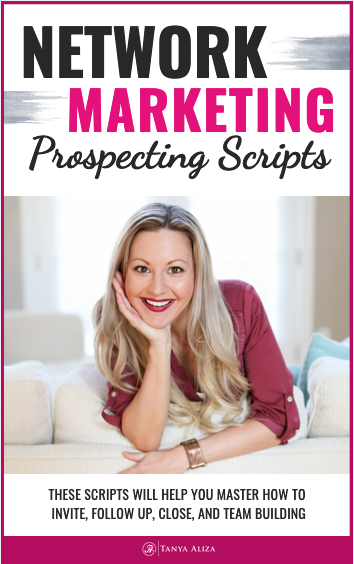 I’m going to share with you a couple of prospecting tips that helped me talk to total strangers and be able to get to the point where now I really enjoy the entire process. So the ONE thing that helped me was to re-frame my thinking. Instead of thinking I’m going out with the intention of prospecting I decided I was going to go out to make new friends and to help people. That took the pressure off of me and it made me feel more true to who I am. But I promise that the more you do it the better it gets and easier it will become for you. 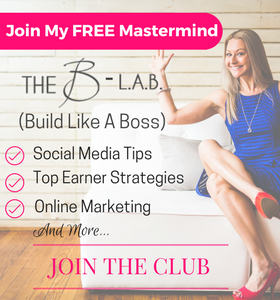 When I was new in my network marketing company I thought I had to go around telling everybody how great my network marketing products were and that’s actually how I started conversations. Its not about your product, service or whatever it is were selling…its not about going out there to get people to buy a product or service or join your business. Its more about finding a need and letting your product, service or business be the solution to that need. If your having a conversation with someone whether in person or on social media and they’re telling you that they have a need or problem…and you come in and use your product or service as the solution to their need… then the whole process becomes genuine and serves them. So how do you find the needs of your prospects? Questions are the KEY to discovering the needs and problems they have that your product, business or service could help them with. When asking questions don’t forget to pay attention to what they say…don’t think about your next question while their talking or you’ll miss out on getting to know them, and their needs. Something that’s always worked really well for me is that I’ll give a GENUINE compliment to the person I’m talking to. It’s gotta be genuine though…typically I’ll compliment someone on what their wearing because I like fashion. Find something about them you like and compliment them or if they’re on social media you can look for something they’ve posted that you genuinely like and give them a compliment on it. Once you compliment them it opens them up and makes it easier to have a conversation. I truly believe thats what it has allowed me to do. Not everybody is going to buy or join you…but if you approach people the right way and start the conversation with the intention to make a friend…even if they don’t buy or join… you might gain a great new friend which could amplify your life in so many ways. And make sure you grab my free resource that will help you with asking the right questions when talking to total strangers. Did you get some value from these prospecting tips? 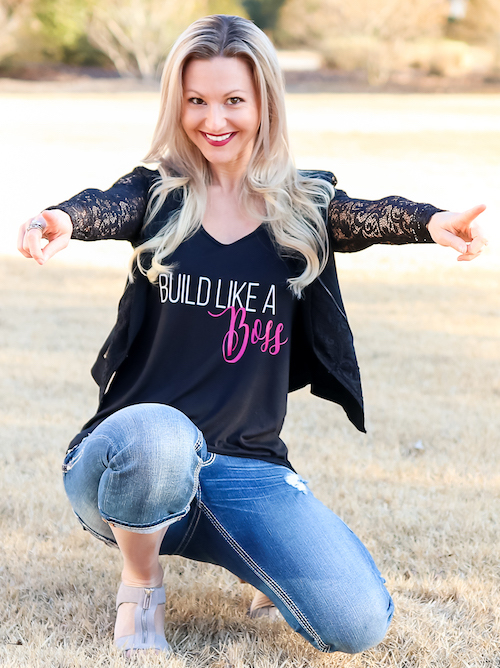 I hope you did because each week I put my heart into making sure you get some amazing prospecting tips so you can rock it in your business while creating a life you love. Question of The Week: Are there any good prospecting questions that you like to ask when ‘making friends?’ Share your tips in the comments section below. Hope you enjoyed these prospecting tips!